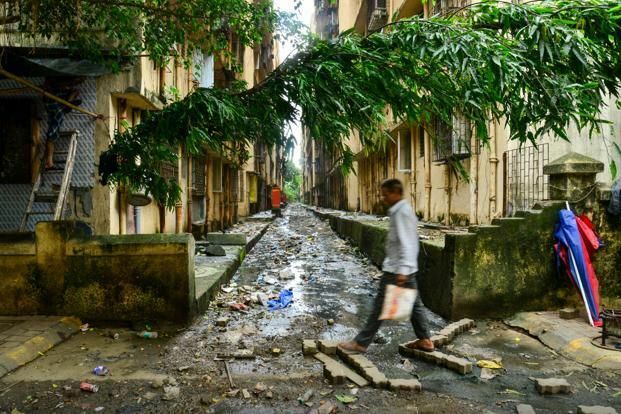 Mumbai | 9th Jan: The Committee constituted by the Urban Development department on the order of Chief Minister Devendra Fadnavis sat today with the representatives of Mahul residents to find out the solution of the issue. Representatives of Mahul residents submitted a list of tenements which are constructed by different housing agencies. Committee’s head Mr. Ajoy Mehta who is also the Municipal Commissioner, has directed the agencies like SRA and MMRDA to verify the information supplied by the representatives of Mahul residents and file a report within 10 days. Large number of tenements which are constructed in advance for Project Affected Persons are lying vacant with different housing agencies like SRA, MMRDA, SPPL etc. We are demanding that these houses to be allowed to the residents of Mahul who are facing ife threats due to toxic environment in that area. A total of 5,500 houses are needed for complete solution of the problem. MHADA has already taken decision to allot 300 houses to Mahul resident. The remaining houses will be allotted by the Committee upon verifying the information supplied by the representatives of Mahul residents. A meeting of the Committee held today under the chairmanship of Municipal Commissioners which was attended by higher officials from MMRDA, MHADA, SRA, Urban Development Department and Environment Department. Today is the 74th day of the dharna being staged by the residents of Mahul in Vidya Vihar demanding safer housing as per High Court’s order.